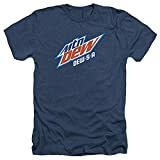 Mountain Dew Spiked is a flavor variation of Mountain Dew, a brand owned by PepsiCo. Spiked is different from regular Mountian Dew in that it is "spiked" with prickly pear cactus juice and sweetened with agave and stevia. Spiked also contains a slightly higher caffeine concentration than regular Mountain Dew. Sugar content: 34 grams (per 16 ounces). 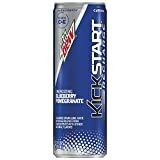 How Does Mountain Dew Spiked Compare? 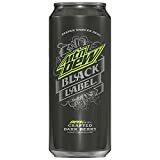 Mountain Dew Spiked contains 4.50 mgs of caffeine per fluid ounce (15.22mg/100 ml).